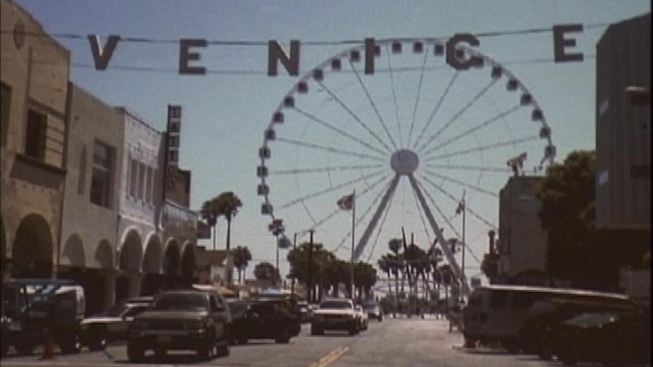 A company is proposing to spend $12 million to build a Ferris wheel in Venice Beach. Venice could have a new landmark by the summer tourist season if the city -- and more importantly, residents, sign on to a wheel with a view. On Monday night, Great City Attractions briefed locals on a proposed $12 million, 20-story high observation wheel. Seven stories taller than the Capital Records building, the wheel would have upwards of 42 enclosed capsules. There would be three revolutions in 15 minutes, similar to the London Eye. "You're going to be able to see all the way up the coast, way past Santa Monica up towards Malibu," according to Nigel Ward, of Great City Attractions. But some residents see trouble on the horizon. "I'm worried about the traffic, the trash, the congestion," says resident Carie Maniscalco. City and company officials say the project would mean jobs, and dollars, for Venice's cash-strapped coffers. Right now they're half way through the permit process. The full council will need to sign on to the project.